Complimentary basic Internet (up to 2 devices) in all guest rooms, complimentary premium Internet (up to 4 devices) in all suites. 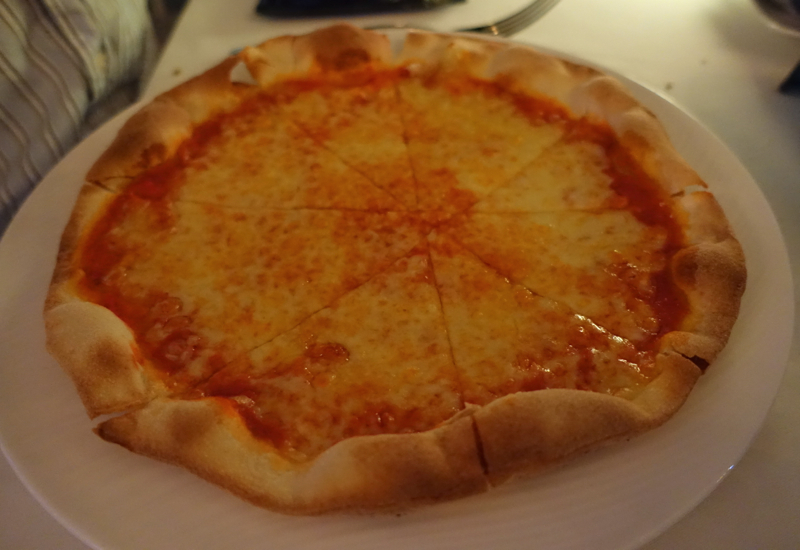 During our stay, we dined at Blu Restaurant for breakfast and dinner, and Al Barakat for dinner. 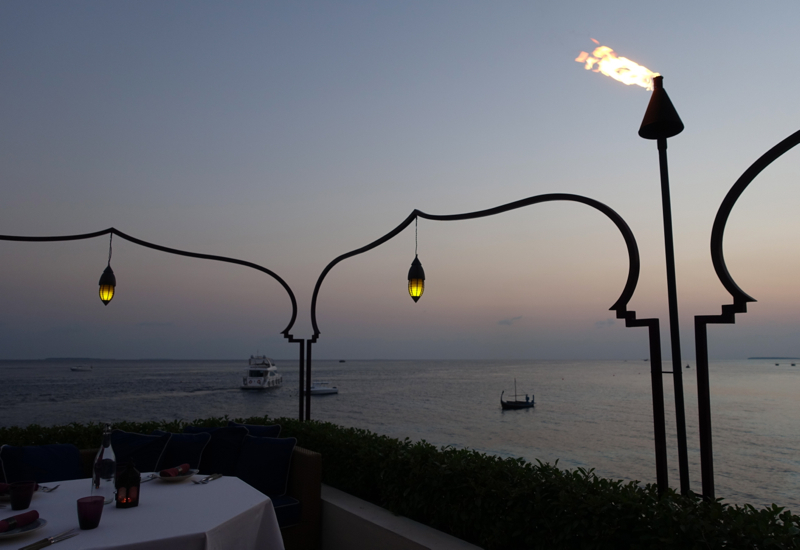 Our Beach Bungalow was a short walk from Blu, and we fell in love with the gorgeous views, so opted to enjoy an a la carte breakfast at Blu both mornings. TravelSort Clients with Four Seasons Preferred Partner reservations may enjoy their complimentary breakfast at Cafe Landaa, where a buffet breakfast is offered, at Blu, choosing any of the a la carte selections, or enjoy breakfast in the privacy of their bungalow or villa, via in-villa dining. 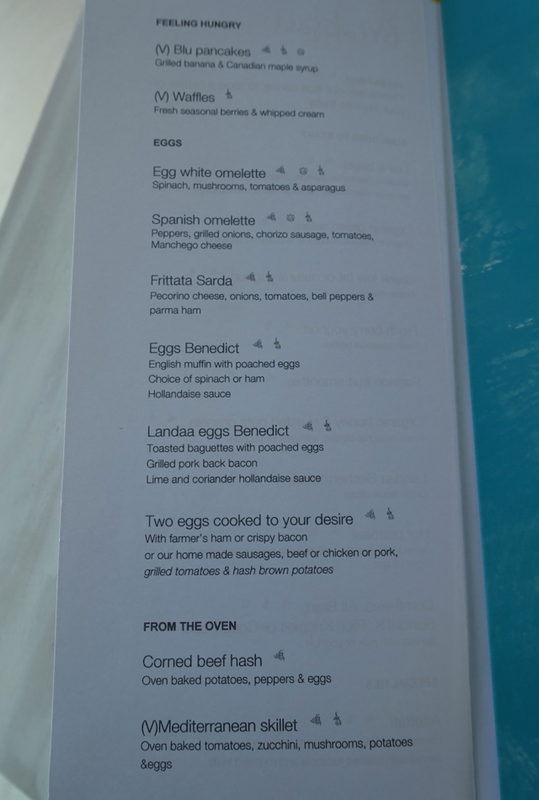 Blu has an a la carte breakfast menu, which I actually tend to enjoy more than buffets as everything is made fresh to order. 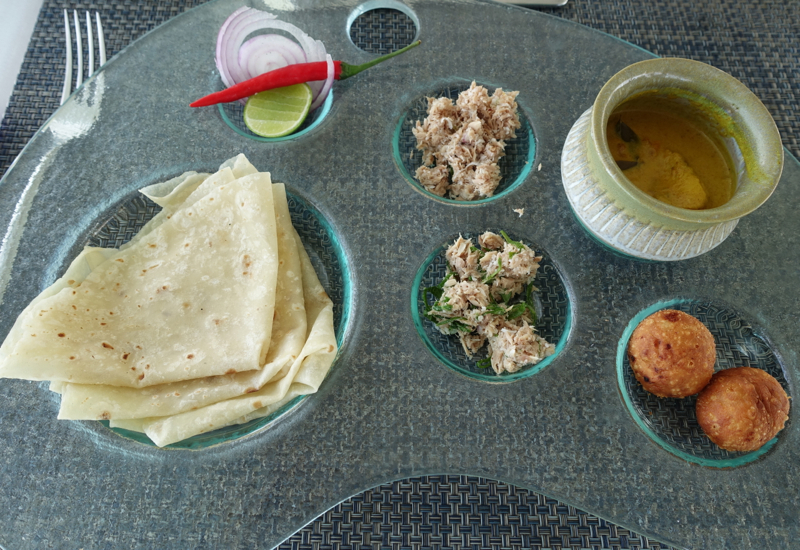 Anyone who has spent time in the Maldives will recognize the traditional mashuni roshi breakfast, with flaked tuna and shredded coconut served alongside roshi, unleavened flatbread similar to Indian chapati. 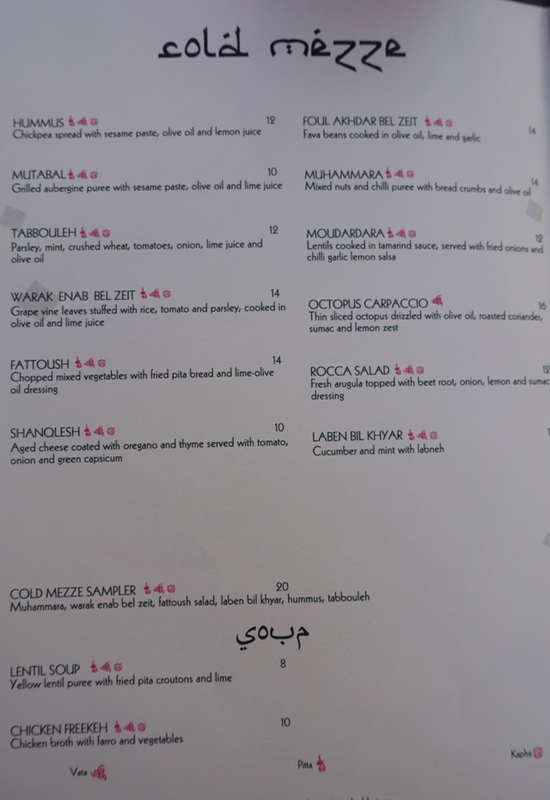 But Blu's version elevated this standard to another level, comprising two versions of mashuni plus the roshi, a delicious fish curry, and even crispy tuna croquettes. This was my favorite savory way to start the day. 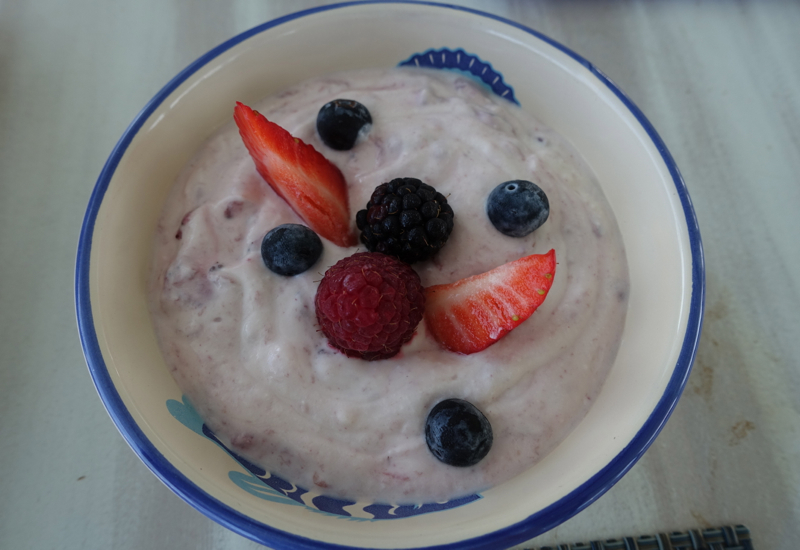 Yogurt is a breakfast staple for me, and I loved Blu's homemade berry yogurt, which was creamy and very fresh tasting, with fresh berries adorning it. 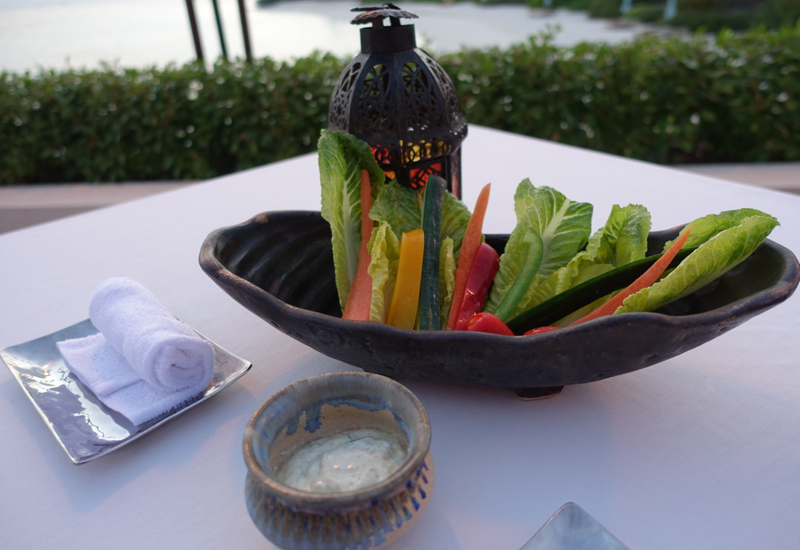 Naturally all pastries have to be baked on island, so at most any luxury resort in the Maldives they should be quite fresh tasting. 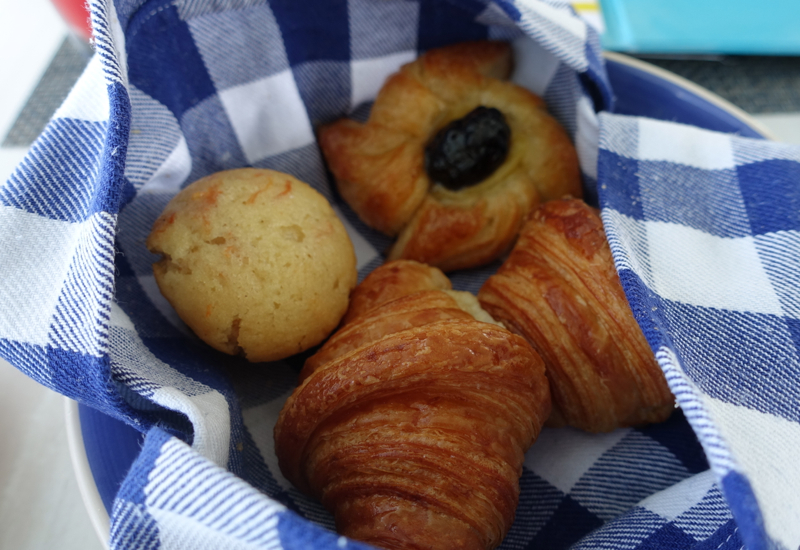 But with the humid heat, many times pastries baked just a few hours ago become limp and chewy. 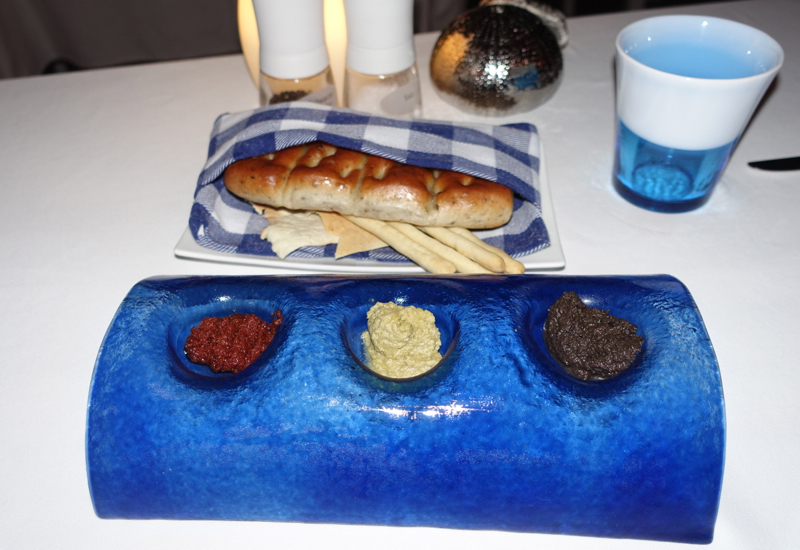 Somehow Blu's were always perfectly crispy and flaky, and the best croissants we had in the Maldives were these ones. 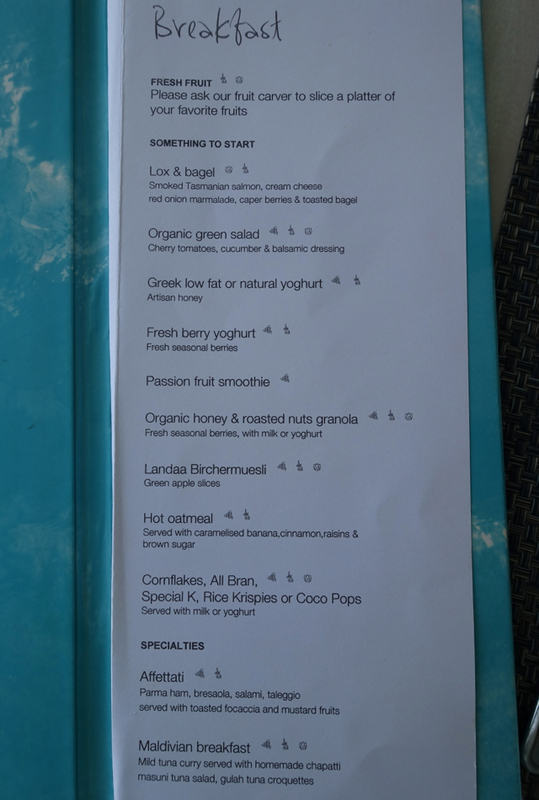 Naturally you don't go to the Maldives to get a bagel with lox for breakfast, but the munchkin, New Yorker as he is, insisted on getting this our first morning. 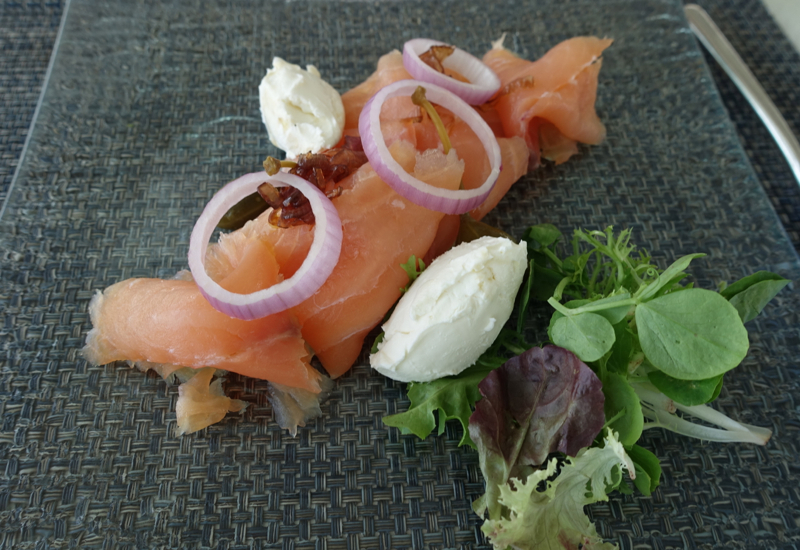 And I must say that it would put most New York lox to shame, even though the smoked salmon is apparently sourced from Tasmania. I couldn't resist stealing some bites. 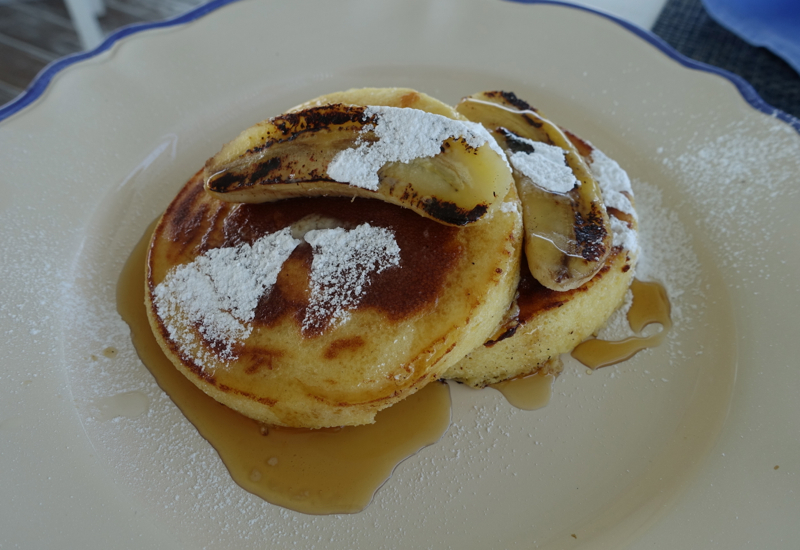 Blu's banana pancakes were light and cakey, with generous pieces of banana that were slightly caramelized from the pan. 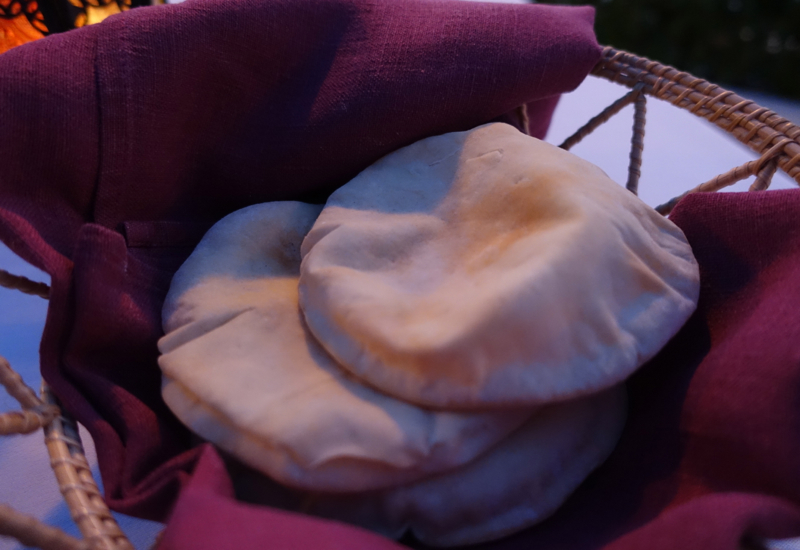 They were served with a dusting of powdered sugar and pure maple syrup, and very satisfying. 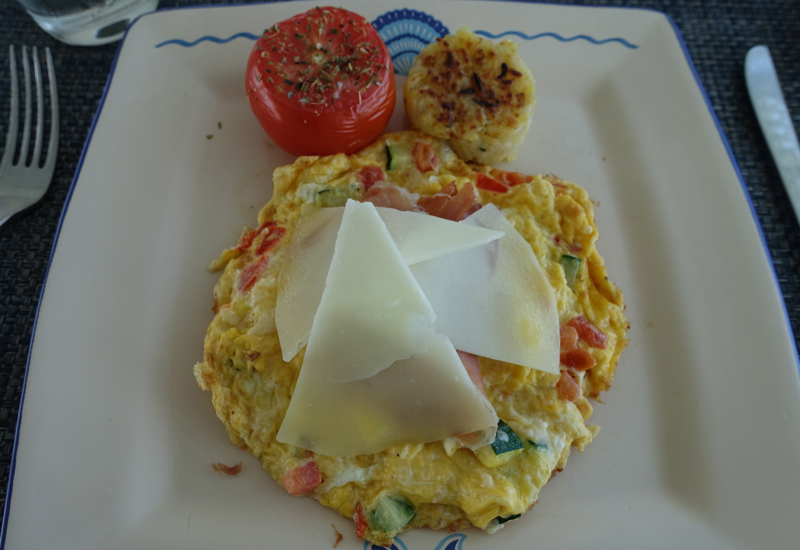 I'm not a huge eggs person for breakfast, but I did enjoy Blu's Frittata Sarda, especially the combination of pecorino cheese with parma ham. 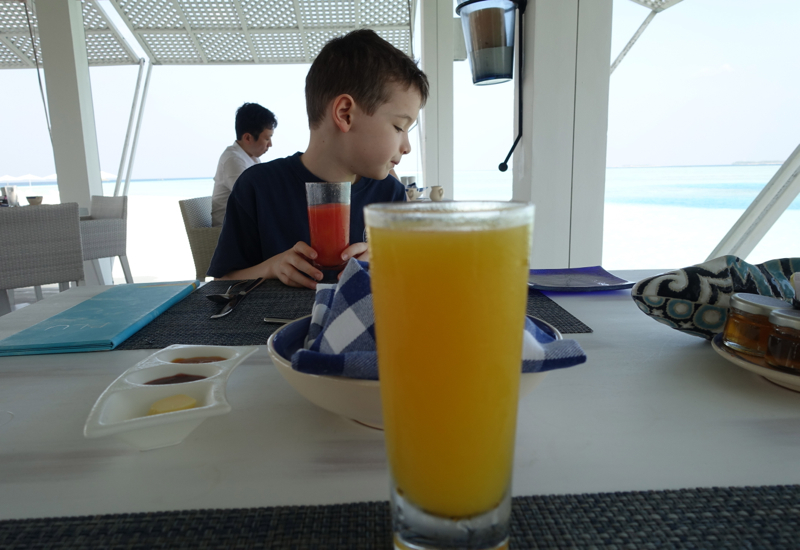 You should be able to get good fresh squeezed juices at most all Maldivian Resorts, although these were among the best we had, and I was happy that Blu's staff was willing to make unique mixtures for us, such as this mango pineapple combination. 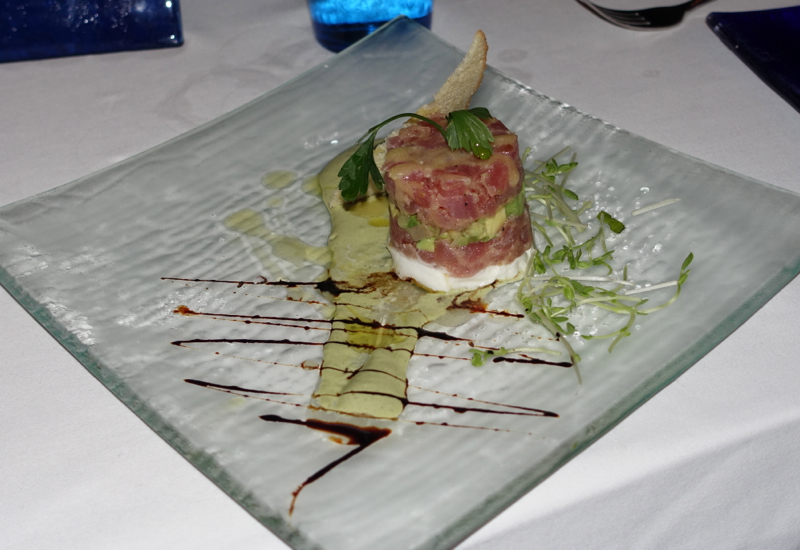 Blu serves Italian cuisine for lunch and dinner, with a variety of both modern Italian and classics on its menu. 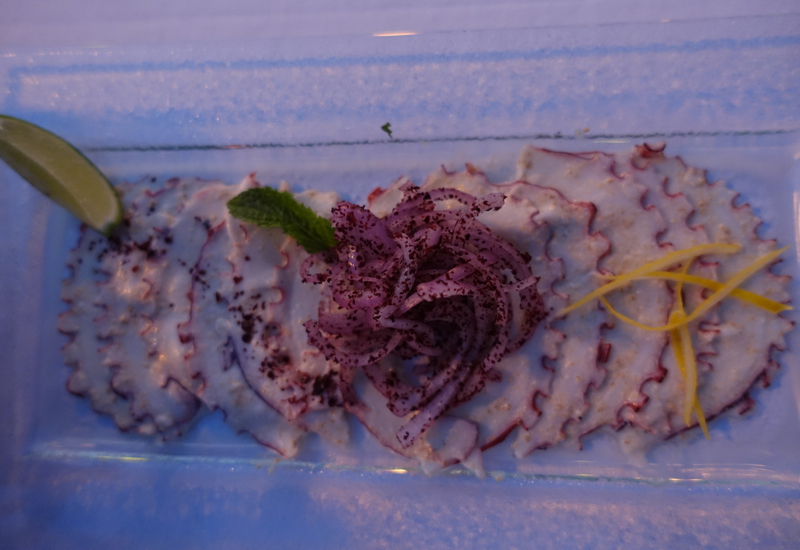 The savory highlight for me was the Octopus Carpaccio: both beautifully presented and incredibly fresh and flavorful. 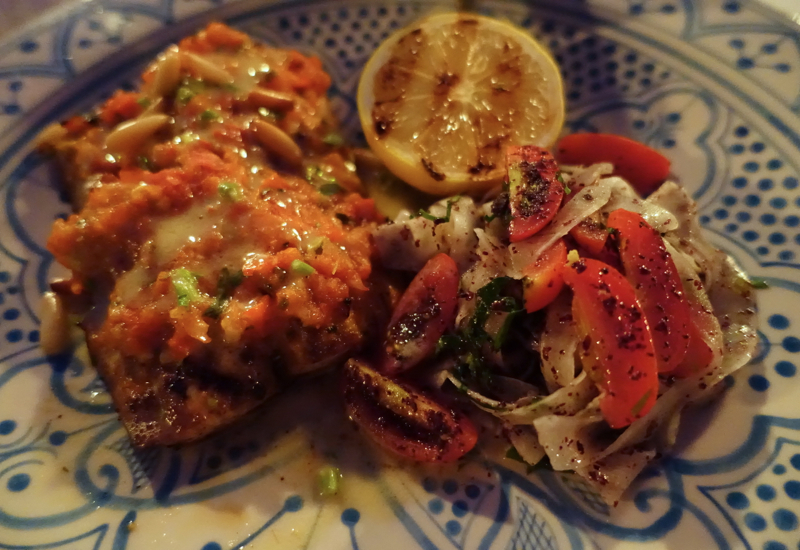 I liked but didn't love my reef fish in Arabic spices. 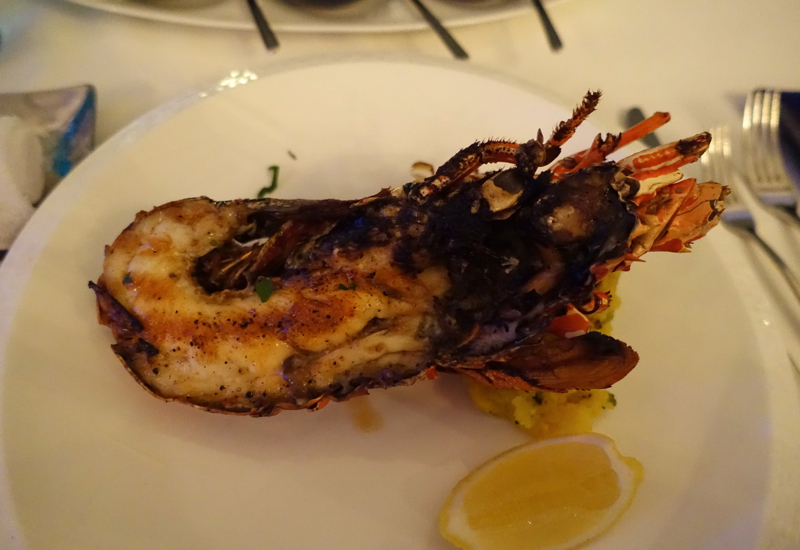 It was impeccably fresh and well cooked, but I wished I'd gotten something a bit more exotic with more assertive spicing. 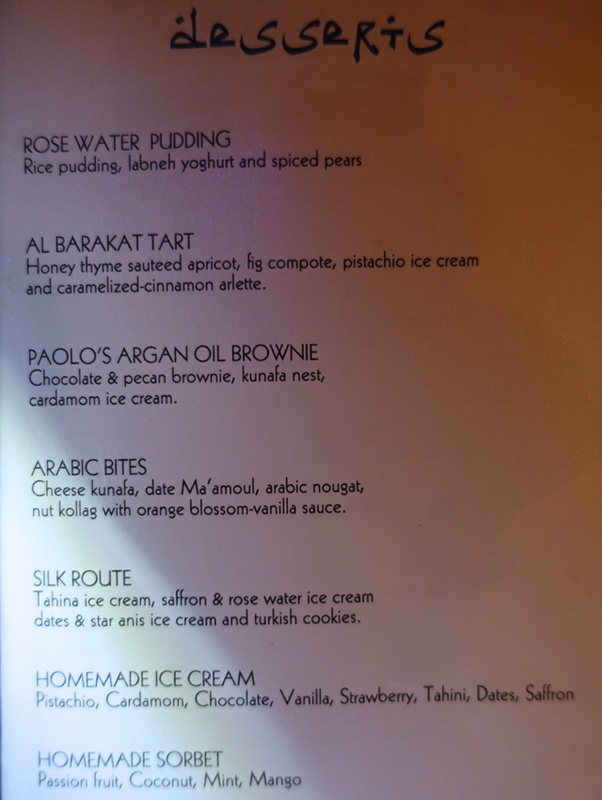 It was hard to choose from several tempting choices on the dessert menu, so I asked our server for his recommendation. 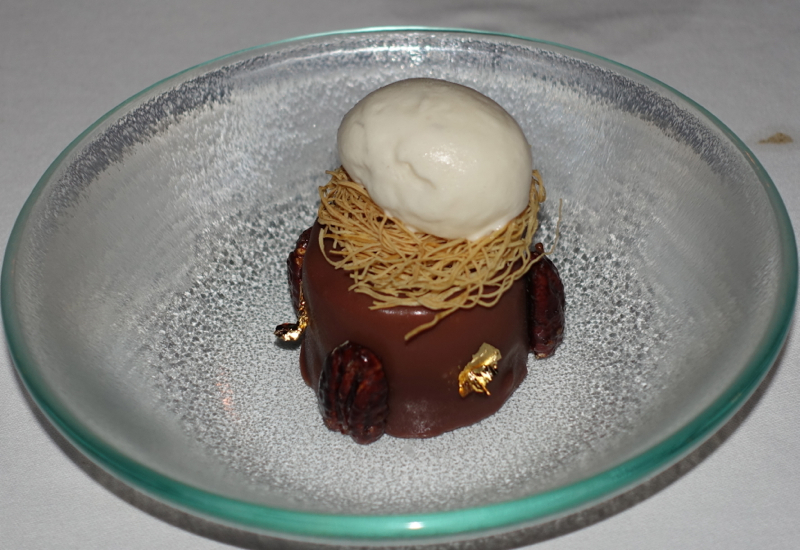 The finale was very memorable: Paolo's Argan Brownie with Kataifi and Cardamom Ice Cream. It's a must-order for anyone who enjoys scrumptious chocolate desserts with a unique twist. 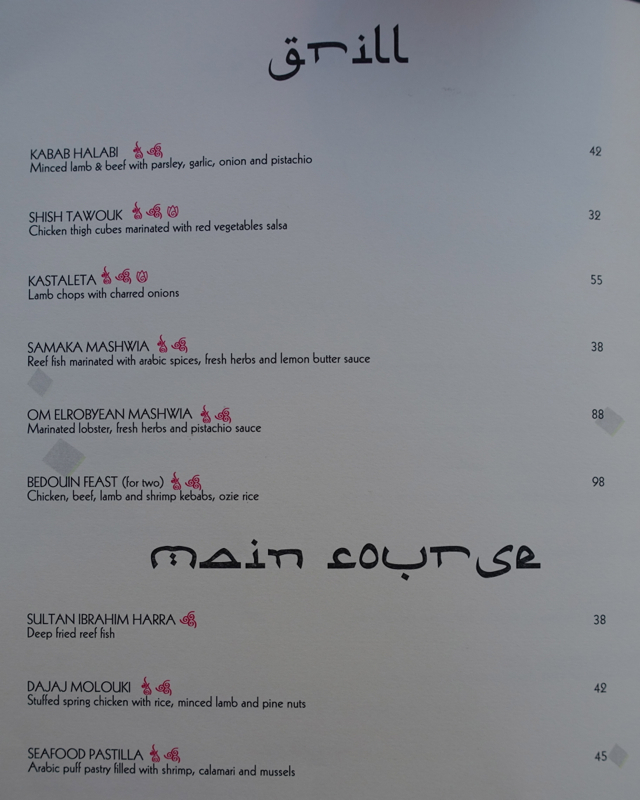 If you've dined at the Four Seasons Maldives at Landaa Giraavaru, which were your favorite restaurants and menu choices? 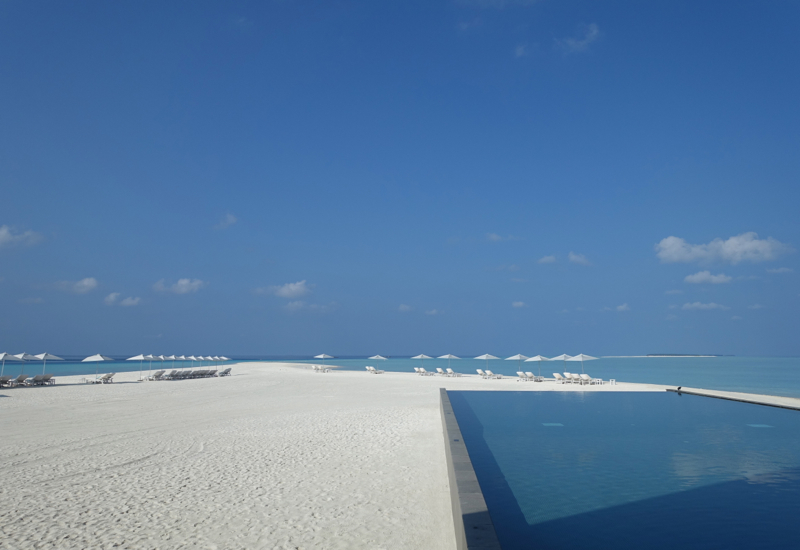 Disclosure: I was a guest at Four Seasons Maldives at Landaa Giraavaru and received a complimentary stay and daily breakfast and dinner, however the views expressed in this post are my own. Become a TravelSort Client and Book Four Seasons Landaa Giraavaru with Four Seasons Preferred Partner Perks!